The Uitvlugt Estate- one of the three estates remaining under the state-owned Guyana Sugar Corporation (GuySuCo) management after the downsizing- met and surpassed its production target for the first crop of 2018, authorities said Thursday. The Special Purpose Unit of the National Industrial and Commercial Investments Limited (NICIL-SPU) and GuySuCo said in a joint statement that Uitvlugt produced a total of 7,011 tonnes of sugar from crushing 84,295 tonnes of sugar canes. The target set for the estate for the first crop was 6,671 tonnes. Private sugarcane farmers produced 42% (35,176 tonnes) of the crushed sugar canes. NICIL and Guysuco said Uitvlugt surpassed the production target after grinding for seven weeks. That was achieved despite severe mechanical and processing challenges affecting efficiencies at the onset of the crop. The Factory Engineering Services Unit in collaboration with the Uitvlugt Factory team, worked to ensure that those defects were quickly corrected. As a result, the estate was able to surpass its Weekly Production Target for four of the seven weeks during the grinding period. “Surpassing the production target is a significant achievement for the Uitvlugt Estate, and a testimony of the team work and leadership at the estate. In addition to leadership, the rehabilitation of the cultivation, which was started two years ago, and revised harvesting procedures in the crop assisted immensely in the estate achieving its target,” said NICIL and GuySuCo. Uitvlugt estate so far leads the way for the crop by achieving four Weekly Production Targets. 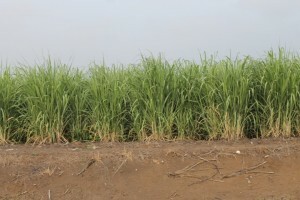 The corporation said in keeping with GuySuCo’s agreements, employees were rewarded with four days’ pay as incentive for their hard work, commitment and outstanding achievements during the crop. NICIL-SPU is also operating Skeldon, Rose Hall-Canje and Enmore at a limited scale with the aim of keeping those estates as going concerns until buyers are found. In an arrangement with Demerara Distillers Limited, molasses is being produced for rum production.